This is Denise Schindler, a paralympian and leg amputee from Germany. She won a silver medal at the 2012 Paralympic Games in London. She unfortunately lost the lower part of her right leg below the knee, as a child after an accident. In order to cycle, she uses a prosthetic leg specially designed to work with her bicycle. Originally, Schinler’s carbon-fibre protheses were made by hand. 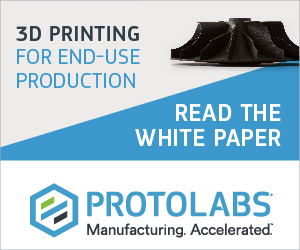 Relying on a person to make these custom-made tools was a very time consuming and expensive process, so it is hoped that 3D printing an alternative could work out to be less cost worthy whilst remaining reliable and useful. As well as working with Sohi on this project, the expertise and experience of Schindler’s orthopaedic technician, Thomas Wellmer, has been particularly useful throughout the project. 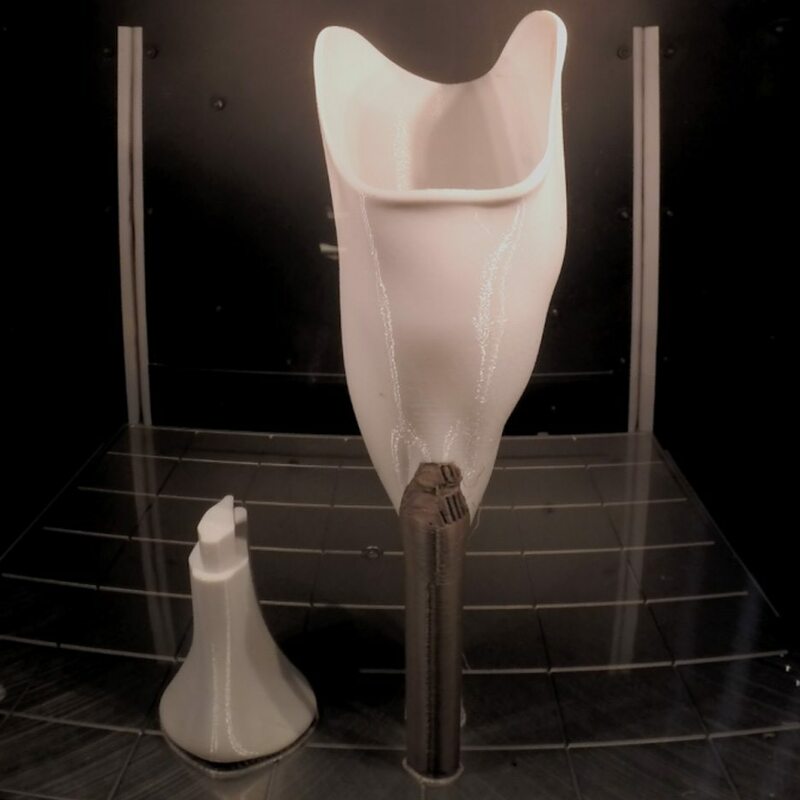 Sohi used Autodesk Fusion 360 to model the prosthetic, and a scan of her right leg was used to ensure the prosthetic would fit. This project has allowed for Sohi to design the prosthetic not as a way to help the wearer to walk or cycle. The prosthetic Schindler uses is also a tool, a piece of kit, which is being used to hopefully win a gold medal. This meant he has had to bear in mind so much more than just ergonomic considerations. 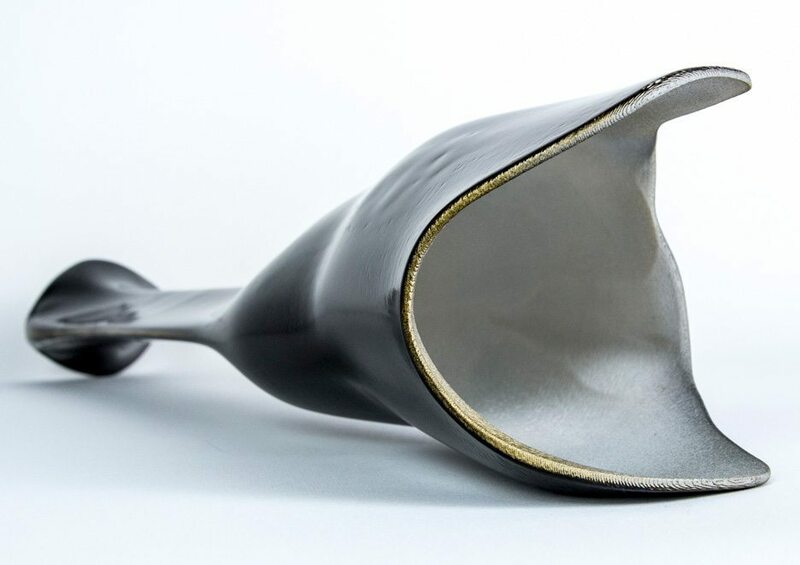 Aerodynamics also play a big part in allowing cyclists to have the speed to succeed, so much so that this prosthetic would have to also be designed with aerodynamic considerations, just like Olympic bikes are too. The one in question though, has been tested and developed in various forms, and has been printed in two parts in polycarbonate. The success of this project, however, brings up some possible issues regarding rules and what is deemed appropriate for competitions. What if a 3D printed prosthetic put an Olympian at an unfair advantage? How could rules be made for these sorts of issues? Do we already face similar problems with equipment used in sports competitions? At least at the moment, Schindler can compete with her futuristic, aerodynamic prosthetic, but who knows how things can change as 3D printing bores further into sports. The video below was filmed by Dezeen at Reha-Technik Wellmer und Schmidbauer, Germany. Additional footage was taken by Senger Prager. More on this topicHuman augmentation: we can, but should we?